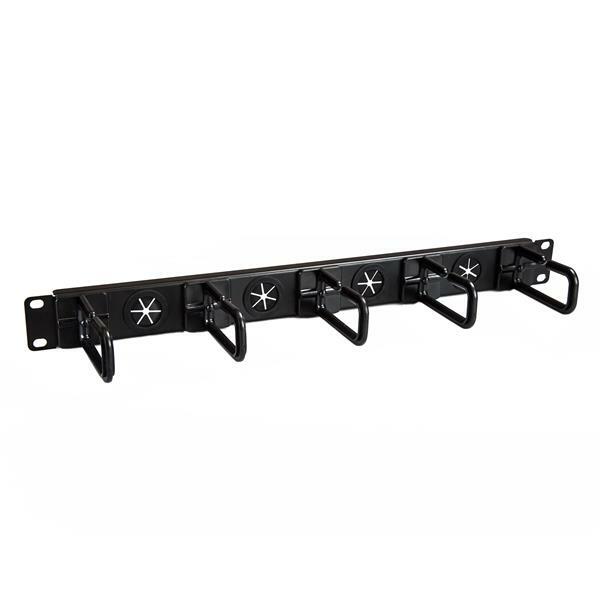 This server rack cable-management panel keeps your rack cables neatly bundled and guided, for tidier rack space. 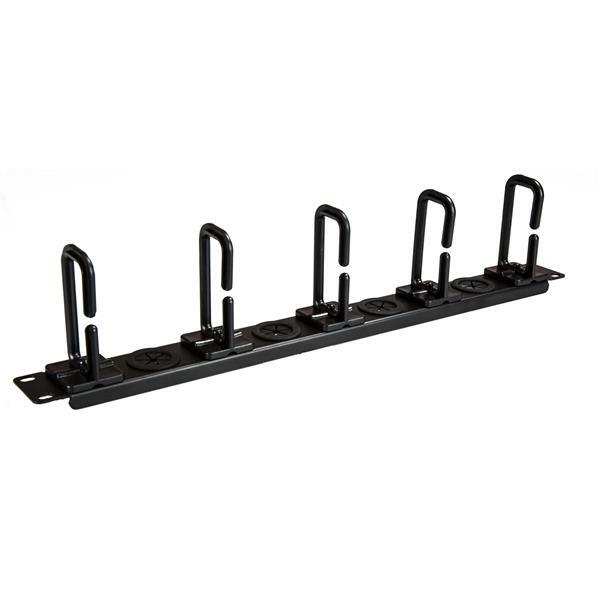 The 1U cable organizer features a combination of D-ring hooks and pass-through holes that enable you to run cables to and from your equipment through the panel and into the hooks. The rack-cable management panel makes it easier to organize cables from the front or back of your server rack. It features five conveniently placed D-ring hooks that you can use to hold and guide cable bundles running vertically and horizontally. 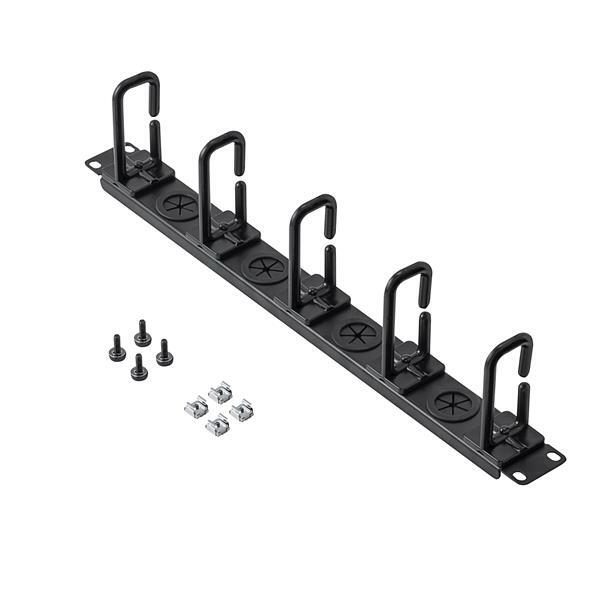 To bundle and route cables through the panel, the cable manager also features four holes designed to seamlessly route cables in and out of your rack. This cable management panel saves rack space with a 1U design. Despite the panel’s low-profile it still provides plenty of cable management, with a combination of five D-ring hooks and four cable holes. Routing your cables through a panel reduces the tension that's often put on equipment ports, preventing damage to your expensive rack-mounted devices. Properly routing cables also improves airflow in your server rack, which helps to keep your equipment running at optimal temperatures to reduce the probability of damage caused by your rack overheating. Note: Power cables may not fit through the holes on this panel. The CABLMANAGERH is backed by a 5-year StarTech.com warranty and free lifetime technical support. Note The hooks on this cable-management system extend past 19 inches. As a result certain racks with close spaced or inset rack mount holes may not be compatible with this product. Power cables may not fit through the holes on this panel.